You know what’s better than a fresh draft beer? Nothing. Nothing at all. Then again, I’m a recovering alcoholic. Anyway, One Fat Frog just got in an awesome remote draft system. 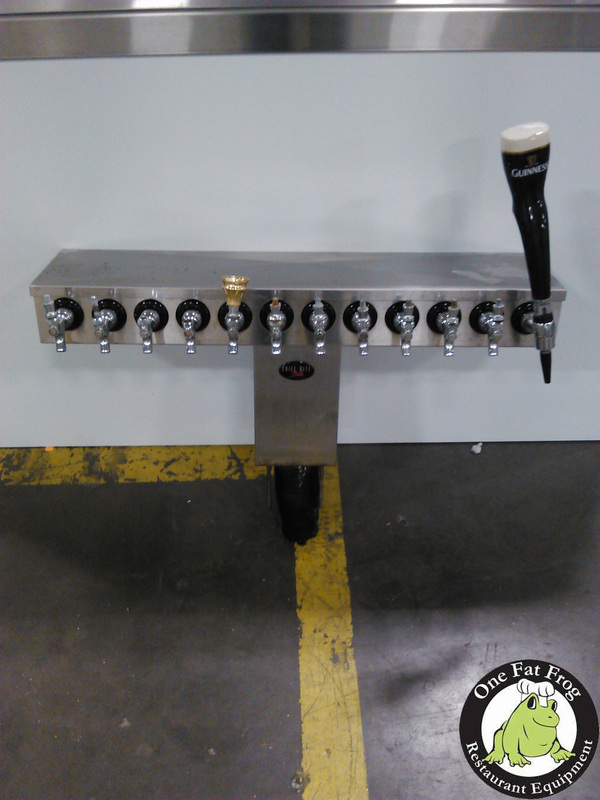 It’s by Chill Rite and it is a 12 tap remote system for your bar. Here are some frequently asked questions. So what’s a remote draft system? Traditional keg towers have the taps connected directly to the kegerator, which would have to be located under the bar counter. With a remote draft system, you keep your kegs a good distance away from the bar area and they are connected to the taps with insulated lines. The lines are then pressurized, which sends the beer through the lines and to the tap. What is the advantage of a remote draft system? It’s freaking cool! But aside from that, a remote draft system allows for a more efficient use of your space. You can put the kegs wherever it makes sense to put them rather than being forced to put them at the bar. The remote beer tap system also reduces the foam in the beer and makes it easier to keep the beer cold. This delivery system sounds really complex. Will you install it for me? One Fat Frog will not install the Chill Rite remote beer system, but we will arrange with the Chill Rite factory for them to install the equipment for you. So don’t worry; experts from Chill Rite who know exactly what they’re doing will handle the installation. Yes, you should. It’s 12 taps. It’s a cool remote delivery system. It’s the perfect awesome piece of equipment for your bar.